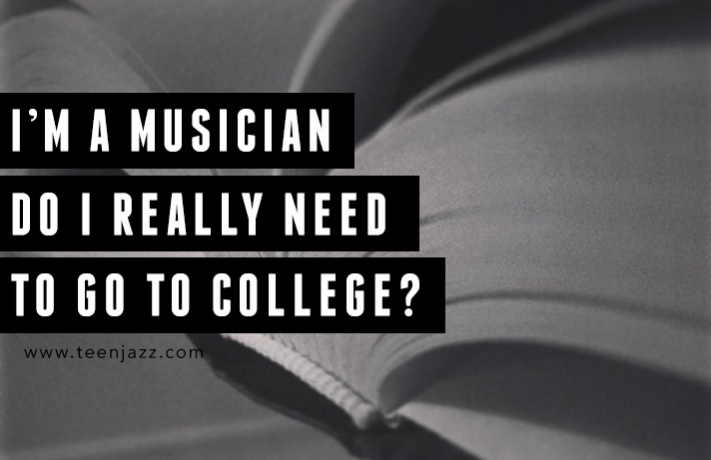 I’m a Musician, Do I Really Need to Go to College? In the US, college is often something that we feel we have to do. Regardless of what our future vocation may be, college is the next mandatory step after college. And a rather expensive one at that. For many majors, that’s very likely be true, but as a musician, one might argue that a college degree isn’t totally necessary. Don’t get me wrong. I think that obtaining your university diploma is an incredible accomplish and an even more incredible experience. It’s absolutely something that you can be proud of doing. Despite this, however, if your goal is to be a musician, college might not be as necessary as you think. If your goal is to get out and play, no one is going to ask you to see your diploma. They might not even ask you where you went to school. If you’re talented and professional and you do a good job on the gig, that’s all that matters. If you plan on being a musician, you don’t need to go to college, especially at the price it costs and the estimated salary you’ll be earning unless you hit it “big.” For most musicians, college is an unnecessary expense. 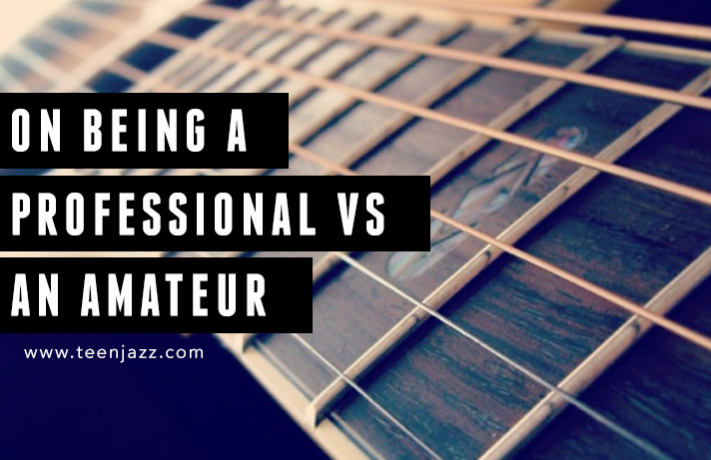 But as someone who has been working in the music industry for nearly a decade (part of which was while I was at university), I’ve seen it become increasingly harder for musicians to support themselves making a full-time living in music. As unfortunate as it is, it might not hurt to have something to fall back on until your career in music takes off. Remember that if you choose to go to college, your major doesn’t have to be in music. In fact, studying something like business and marketing could be incredibly beneficial to your music career. A lot of the skills you’ll learn in those classes are ones that you can apply to your music business. You can, of course, choose to major in music if you wish, but your career options can be limited once you graduate if you take that path. If you can’t imagine doing anything other than music after school, then by all means pursue your dreams. I, myself, majored in music, so who am I to stop you? But if you’re open to the possibility of expanding your skill sets and broadening your knowledge, considering another a major (with a minor in music, perhaps), might be something to think about. If it happens that you need to take another job after college, or you decide to take another job to help support your music career, that option is more likely to be open to you if you study another field. You should also consider the possibility that your career will be in music, but not in the way that you expected it to be. Perhaps you end up working at a music-related company such as an instrument manufacturer, an instrument sales shop, a record label, or an artist management firm. Some of those options might not be available to you if you don’t have a degree, and so, it’s definitely important to take that into consideration. That being said, there’s always the argument that it isn’t good to spend hours away from your craft at a job that isn’t music. Every hour should be spent practicing, writing, and hustling to get gigs to give your career its best chance. I’ve had experience with both ends of the spectrum. My husband and I are both musicians with extraordinarily different education backgrounds. My husband dropped out of high school to go to a music conservatory and is a successful musician without any sort of diploma. I am on the completely opposite end of the spectrum because I have a Master’s degree (in music). For me, personally, I found going to college valuable but my husband didn’t. We are both professional musicians, we both work regularly and neither of us regret the paths that we took to get to this point. It’s a decision that only you can make. As I mentioned, I understand both sides of the argument. Neither route is easy and it’s a very personal decision. One that no one else can make for you. It’s all about what your financial and personal needs are, your goals, and how much you’re willing to sacrifice to have a music career. Why did you/didn’t you go to college? Or, why do you want to/not want to go to college? I’d love to hear your thoughts in the comments, but please keep the conversation civil! I know that today’s post may seem a bit silly to some, but I wanted to touch on this subject because of questions some of my music students’ parents had about swapping instruments. Yes, it is, but they should have taken a few precautions before doing so. Usually a teacher play tests a student’s instrument if there is some concern about whether it is properly functioning or not. When they do this, they will most likely use their own mouthpiece and setup. If they choose to use your child’s mouthpiece, they should, at the very least use their own reed and sanitize the mouthpiece both before and after using it. And it’s this question that I’d like to spend a bit more time on today. When we’re young we often feel as though bad things happen to “other” people, they don’t happen to us. The reality, however, is that things can happen to anyone. It’s important to be careful. Especially when it comes to your health. I remember back when I was in junior high, I swapped instruments with my friends. I tried out the tuba just because, or maybe the trombone or clarinet. I even tried my hand at vibraphone. Looking back, I’m thankful how lucky I was I didn’t pick up more illnesses than I did doing just that. 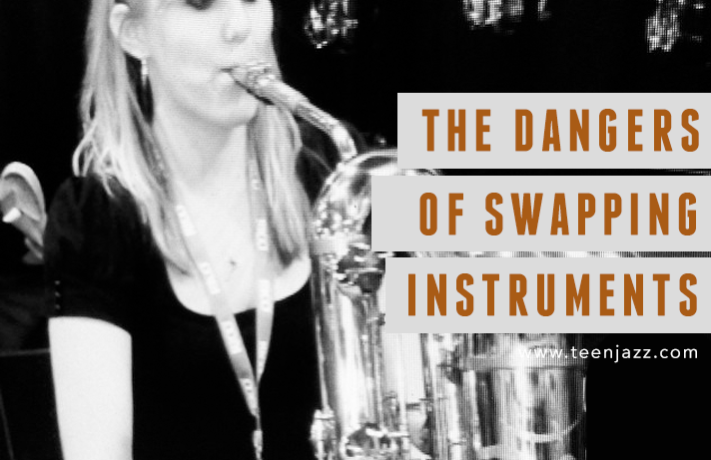 Even though swapping instruments with friends may seem tempting, it’s best not to do so without taking precautions to ensure the instrument is clean. Germs can survive on music instruments for several days – particularly in wind instruments where moisture is collected. Those who play wind instruments have often complained of having recurrent sore throats or inflammation and there have even been cases of pneumonia. Cold/Flu – colds and the flu affect people differently so while it may seem like your friend only has the sniffles, sharing an instrument with them could lead to you ending up with a full blown cold or flu if your immune system doesn’t fight the infection the same way. Warts – warts are extremely contagious and if the person with them doesn’t take care to cover them up, they can spread easily. When you handle the same instrument as someone with warts, you risk giving the virus a chance to infect your body as well. For example, borrowing the drumsticks of a friend with warts could lead to you getting them too. Fever Blisters – sharing mouthpieces with someone who has a fever blister can result in you picking up the virus (whether you’ve had fever blisters before or not). And playing any wind instrument with a fever blister can be painful. Lung Infections/Bronchitis – if the inside of an instrument isn’t kept clean, you can put yourself at the risk of developing a lung infection or bronchitis. Strep Throat – yup, another infection that can be passed by sharing mouthpieces with another player. A good way to prevent the above is to regularly clean your instrument, avoid playing the instruments of your peers, and politely decline when they request to play your instrument. It isn’t enough to clean the outside of your saxophone, flute, clarinet, etc. You also need to make sure you clean the inside as well. There’s no reason to be completely paranoid, but it’s always better to be on the safe side. Try not to swap instruments with your friends. It may sound like fun and it may be tempting, but it’s always best to play it on the safe side. In conclusion, clean your instrument and don’t share it with others! If you do find yourself in a situation where you need to share an instrument, however, make certain that you have your own mouthpiece and reeds at the very least. The skills necessary to become a successful musician go beyond just playing our instrument well. In addition to being a good musician, we need to have a good business sense, the ability to juggle a diverse range of tasks, and more. Once we start getting busy with gigs, the business aspects of music, and practice, we sometimes neglect developing other aspects of our musicianship. Particularly because some of those things we need to work on aren’t that enjoyable to do. But what if there was a fun way to work on ear training? 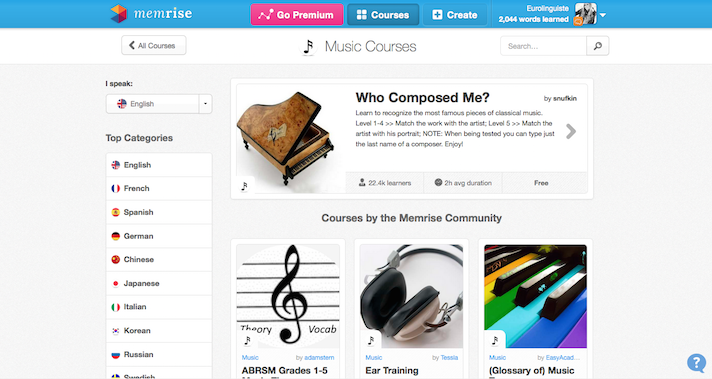 That’s why I’d like to introduce you to Memrise. Memrise is a learning application based on spaced-repetition and it’s a great way to learn everything from a new language to geography. 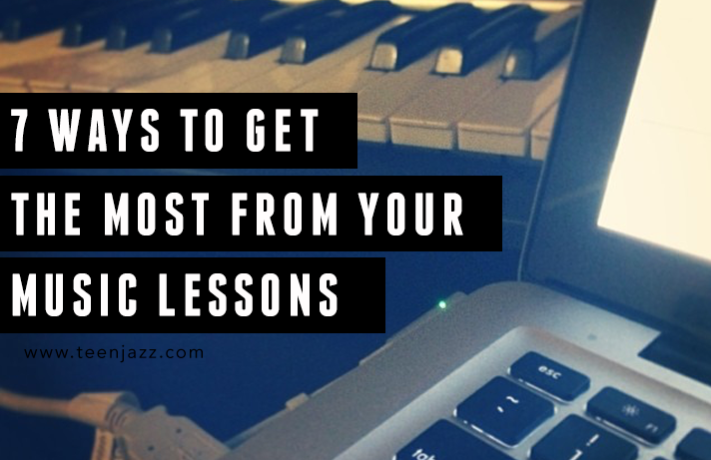 The lessons are short – they take around five minutes to complete and they’re a convenient way to work on different aspects of your musicianship. 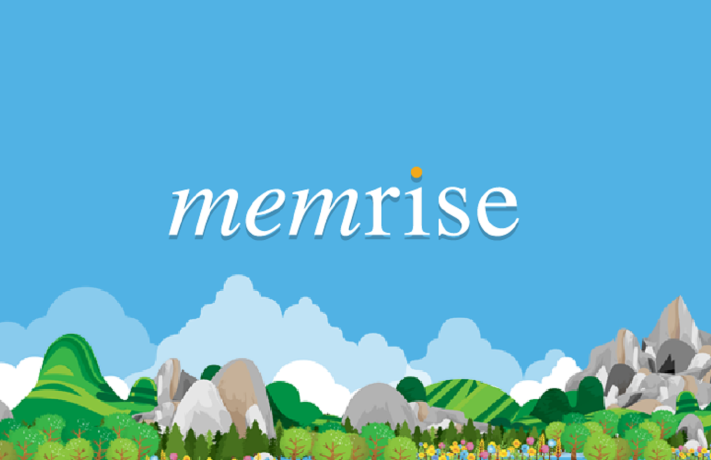 Memrise has both a web-based version and a mobile version of their app. I use Memrise on a daily basis for a variety of things and I have found it very effective. Get started with a free profile today. If you’ve tried Memrise, I’d love to hear what you think in the comments below! Have you tried any other applications to develop your musicianship. What are they and what did you think? A while back I challenged myself to use Project365 to practice for an hour every day for an entire year. Although that’s really technically what we’re already supposed to be doing as musicians, there are times that we take a day or two off from practice. And as long as that day or two off from practice don’t turn into a week or two, that’s okay. Sometimes it’s because we’re doing other music related things like writing or dealing with the business aspects of music. Sometimes it’s because we’re feeling a bit under the weather or because we’re feeling unmotivated. Regardless of what the reason might be, it’s natural to want to take some time off. Those breaks also help us to digest some of the material we’ve been working on during our practice sessions, renew our energy, and find our motivation to pick up our horns after a short time off. The breaks also help us step back and take a look at our playing to see where there’s room for improvement so that we can decrease our chances of hitting a plateau. But there are other ways to avoid plateaus in our playing. I personally feel that one of those ways is by practicing things that inspire, motivate, and push us beyond our comfort zones. Practicing my instrument – not just playing – but actually working at things that I could improve every single day for an entire year could get pretty trying. Finding the right resources to keep me going day after day wasn’t easy. But once I found them, I stuck with them. And since those tools worked for me, I still use them today and that is why I want to share them with you. There’s nothing like a good ole warmup with a couple of etudes. Whether it was sight-reading a couple of classical etudes for oboe, or shredding through a jazz etude based on the whole-tone scale, etudes were my constant companion. I tried to keep a nice mix of various etudes on hand so that I wouldn’t get bored working through any one style and so I wouldn’t grow too familiar with the etudes I used for sight-reading. It’s one thing to play along with an original recording. It’s another to need to play the melody convincingly with your own flare. It’s also another for you to be on your own for a solo on five choruses straight. I liked to record myself playing with play-alongs every so often to see how I felt about my “performance”. It was a really great way to measure my growth and where I had room to improve. When I wanted to read something a little more challenging, I moved to transcription books. I used the Charlie Parker Omnibook primarily, but I had a few others as well. These are really great for picking up more advanced lines and studying harmony. Relying on transcription books to study great players isn’t enough. You also need to use your eyes and try your hand at transcribing solos from recordings yourself. You may not catch everything, but it’s really great practice for when you’re out in the real world, interacting with other musicians on stage. It’s also great for internalizing new material. Even though it’s been a few years since I’ve graduated, I still like to check in with a teacher or a peer every so often to get honest, unbiased feedback on my playing. It’s also really great for when you need a bit of direction. That year that I spent practicing every day was the year that I made the most improvement in my entire career as a musician and it wasn’t because I practiced everyday. It was because I was actively paying attention to my playing and looking for ways to improve the areas where I struggled. I still practice nearly everyday but even with a few days off here and there I am making just as much progress now with my playing as I did during my Project365 because I am more mindful when I practice and whenever I’m unable to find the answers I need on my own, I do not hesitate to schedule time with a teacher to get them. So there you have it. The five things that I use regularly to practice. What are some of the practice tools that you like to use the most? I’d love to hear about them in the comments. The answer may seem like it should be straight-forward, but it often isn’t. 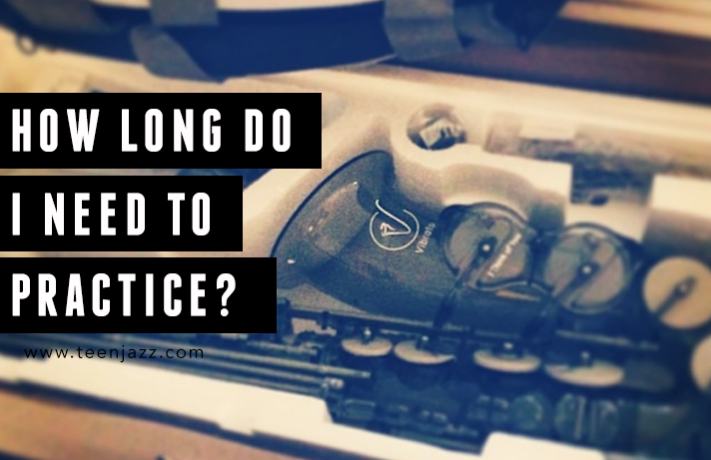 How long and how often you practice your instrument depends on your goals. If you’re just starting out, you may not yet know exactly what your plans are for music. Is this something you want to do professionally? Is music a career you want to pursue? If you’re still in middle school or elementary school, this may not be a decision you’re ready to make. If you’re in high school, it’s a question you likely think about, but even then, you still may be unsure. So how long do you practice? If you’re unsure about how music will play a role in your future, I suggest practicing with the assumption that a career in music is a possibility. Don’t shortchange yourself early on because you’re uncertain about whether or not you’ll continue to pursue music five years, ten years, or even twenty years from now. Of course, it’s also important to keep a good balance in mind. Don’t burn yourself out early on by practicing to much. If you go at it aggressively too early on, you may find that you no longer enjoy doing it. So how much practice is too much? How much is too little? Where do you draw the line? 2) Practicing several times a day in short intervals can be more productive than practicing for a long block of time. It also gives you the time you need to digest the material you were working on and the energy to practice longer (five 15 minute sessions give you 15 minutes more time than one 1 hour session). 3) Keeping a practice journal with notes about aspects of your playing you want to work on can be a huge benefit to the time you spend practicing. It gives you direction. It also gives you something to look back on six months or a year from now to see where you were. Sometimes it’s hard to see how much progress we’ve made. Looking back at the things you couldn’t do a few months back (that you can do now) can be a huge motivation. 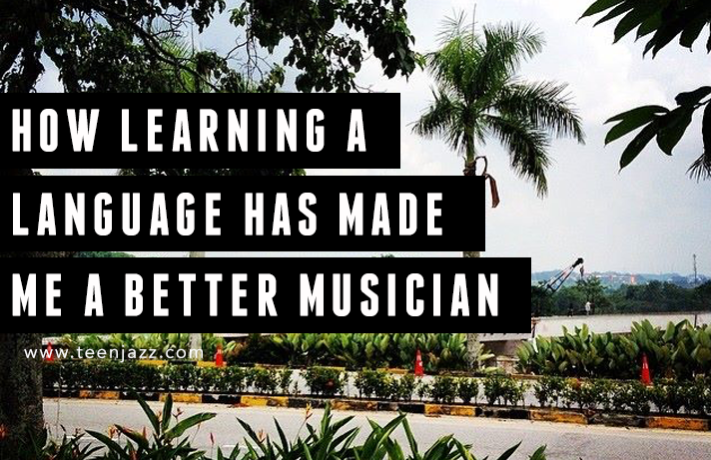 It confirms that all the time you spend practicing isn’t for nothing. 4) It’s okay to take a break. But don’t let a day or two away from practice turn into weeks. The longer you wait to resume your practice, the harder it will be to turn it into a habit again. 5) Practicing other aspects of your musicianship can help improve your ability on your instrument. Studying theory or composition or ear training can help boost your skill on your instrument. Time spent doing other musical tasks can count towards your practice time. But don’t let these activities dominate your practice time! If you want to improve your abilities on your instrument, the most important time is spent with that instrument. 6) Mindless practice is a waste of time. Repetition without focus on why you’re repeating a passage or exercise is a waste of time. Playing without making an effort to push yourself is a waste of time. Create goals for your practice sessions. “Today I want to work on ______ because I need to _______.” Give yourself a reason, a deadline, and a specific time to work on it. Figure out what problems you’re having and arrange your practice so that it solves your playing problems. If you’re not sure where you’re struggling, or if you need some direction, take a lesson or two. A good teacher will be able to point out the areas of your playing that need some work. 7) Practice when you have the energy for it. Are you a morning person? Schedule the bulk of your practice time for the morning. Are you a night owl? Practice at night. Pay attention to the times of day when you are the most productive and slot your practice into that time. 8) Apply the two minute rule. If you really don’t feel like practicing, or you feel you’re short on time, just commit to practicing for two minutes. Maybe you do a few longtones or run through your scales. Or maybe you sit down with a passage you’ve been struggling with and play it slowly once or twice. You’ll find that two minutes quickly turns into ten minutes which quickly turns into thirty minutes without you even realizing it. The hardest thing about practice is sometimes just starting. So just commit to a short time. 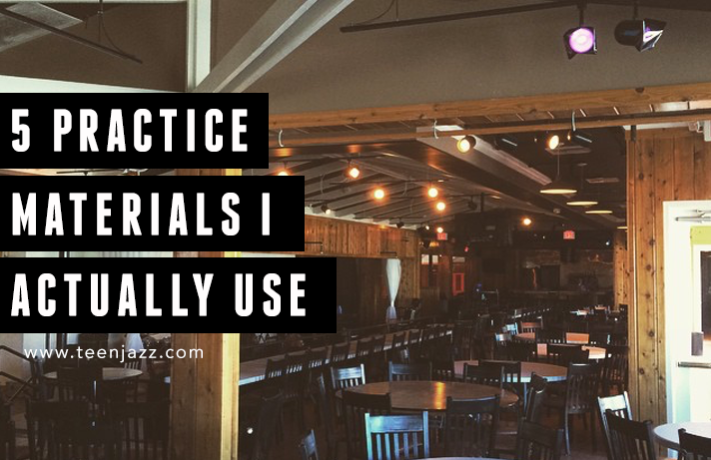 Or if you need some more tips on how to practice even you don’t want to, you can read this. 1) Ask Me Every // This is the application I use to keep track of how long I practice. It motivates me to avoid breaking my “streak” and it averages out the total time I practice per day. I love looking at the month view and seeing all the lovely blue numbers that illustrate how many days I’ve spent time practicing. 2) Coach.me // This app is a community based tool for tracking your goals and getting encouragement. 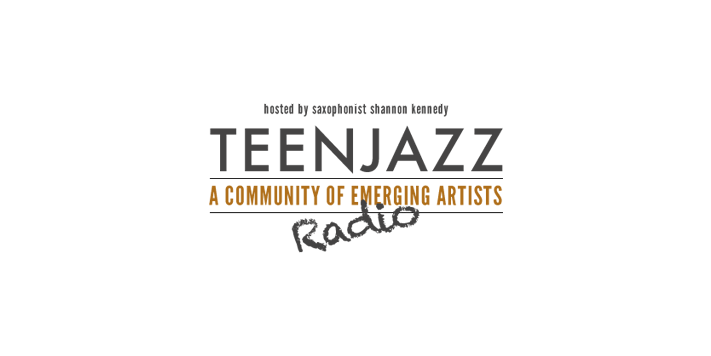 3) The Teen Jazz Practice Journal // We’ve designed a free, printable PDF to help you keep track of your practice goals. Get it here. 4) A Notebook // If you’re looking for something simple, a plain notebook will do. I keep a composition notebook with notes about what I’ve practiced, things I’ve noticed in my playing that can use some attention, and songs I’d like to practice (or that I need to learn). So just how long should you practice? So how long should you practice? My answer, as long as you can, as productively as you can. Practice every chance you get, but only if you’re getting something out of that time. If you aren’t using your time productively, you’re wasting it. You’re better off doing something else. So what about you? How long do you practice? We’d love to hear about it in the comments!